We all know that spring rate changes produce dramatic results on the racetrack. Even a small change in rate can be the difference between winning and losing. Proper procedure, when rating coil springs, will lead to better consistency and result in more accurate results. 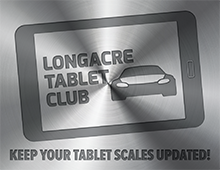 You would not think of racing without scaling your car. Yet, rating your springs is equally as important. After all, your static scale weights are dynamically transferred through the springs. Even small spring changes can have a dramatic effect on your car. First, you should begin with a quality spring rater. 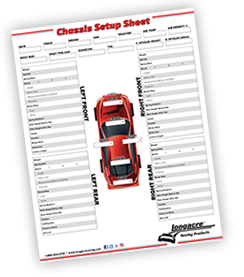 The tester you choose should be designed for the type of racing that you do. For example, if your car uses coil over type suspension, then you should look at using an electronic spring tester. The tester will cost quite a bit more but will offer resolution that matches the design parameters of your car. If you use bone yard springs or your car is based on a stock type design, then you can get by with a hydraulic type spring checker. Your will see a difference in the resolution and accuracy but save a fair amount on the cost. While the cost of the rater is important, we think you are better off purchasing the right tester for the type of racing that you do even if it means spending more up front. Conversely, there is no need to pay for the more expensive unit if you are utilizing springs out of a bone yard. Keep in mind the range of springs that you will run in your car, as this is a factor in deciding what kind of tester to use. Electronic testers are typically rated to 3000lbs and have excellent accuracy and repeatability throughout the range. The hydraulic units are available with a 1000lb gauge or a 2000lb gauge. Choose the lowest range on the hydraulic units to improve the resolution. Regardless of the type of spring tester you choose, the tips below will help improve your accuracy and repeatability. If you are approaching a spring rate that bumps near the limit of your tester, you can usually compromise and go with a 1/2" of pre-load. 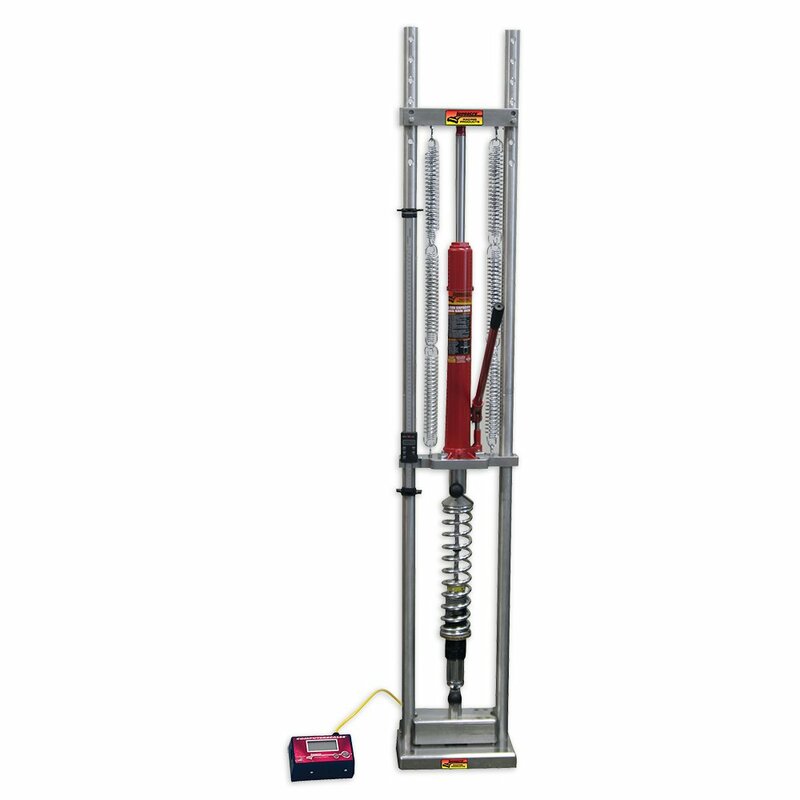 For example, on a tester with a 1000lb capacity, the maximum spring you could test with a 1" pre-load would be 500lbs. You would use 500lbs of capacity on the 1" pre-load and another 500lbs testing the spring at 1" travel. You can gain some extra capacity when necessary if you pre-load at 1/2". 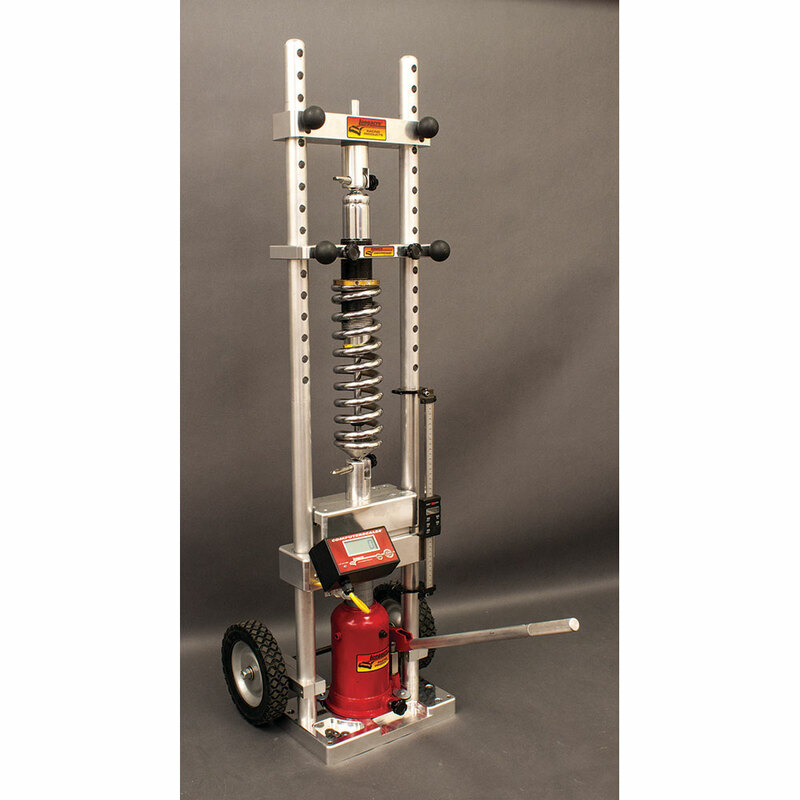 For example, with a 1000lb tester you could rate a 660lb spring using the 1/2" pre-load method. 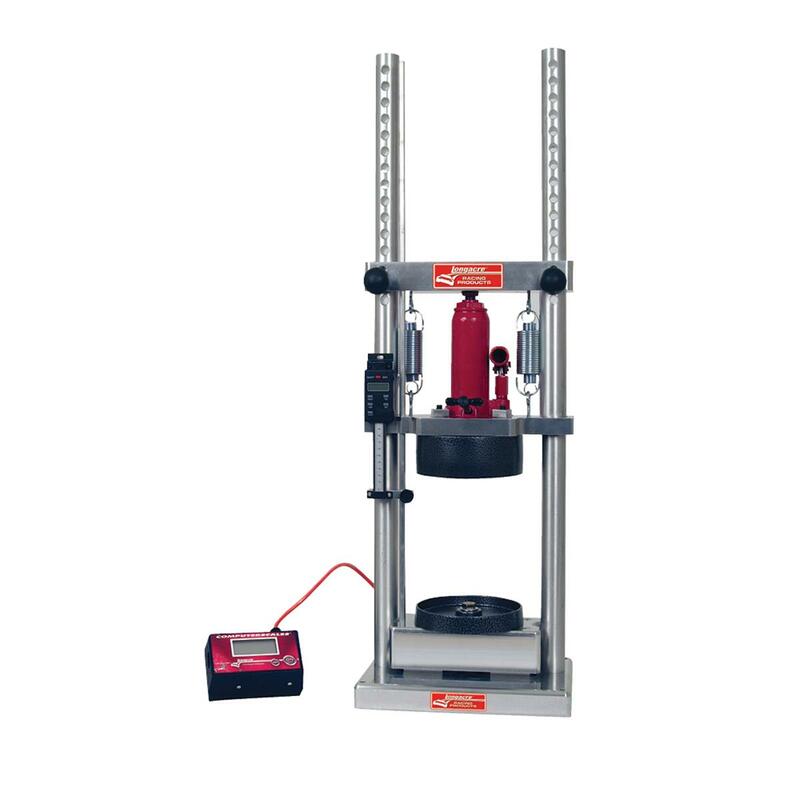 You would use up 330lbs of capacity pre-loading the spring 1/2" and then use an additional 660lbs of capacity compressing the spring in the test range of 1" for a total of 990lbs. Remember, the 1/2" pre-load method is a compromise. Pre-load springs to 1" compression whenever possible. Be sure that you center the spring in both the top and bottom spring cups. If the spring is installed in a tester "off center" the spring will bow and bend as it is compressed causing it to read low. For an optimum reading springs should be installed dead center to allow the spring to compress in a straight line without bending. Take note of the type of spring that is being tested and insure that you are using a flat spring cup for coil over type springs and a tapered cup for open coil type springs. Many spring testers have one cup that can be turned over for use with both coil over and open coil type springs. Be precise. Use a dial indicator to check the travel. You must compress the spring exactly 1". Just a few thousands of an inch long or short will change readings by several pounds. Testers that have tape rules instead of dial indicators make it very difficult to get repeatable results. Develop a routine. To get repeatable results you must check all springs the same way. Your data will be of more value if you take your time and repeat the process. Chart and record your spring measurements at 1, 2, and 3" whenever possible. Record your results. Tag each spring with both a reference number and the actual rate. Record your findings in a book that matches the reference number that is on the spring. 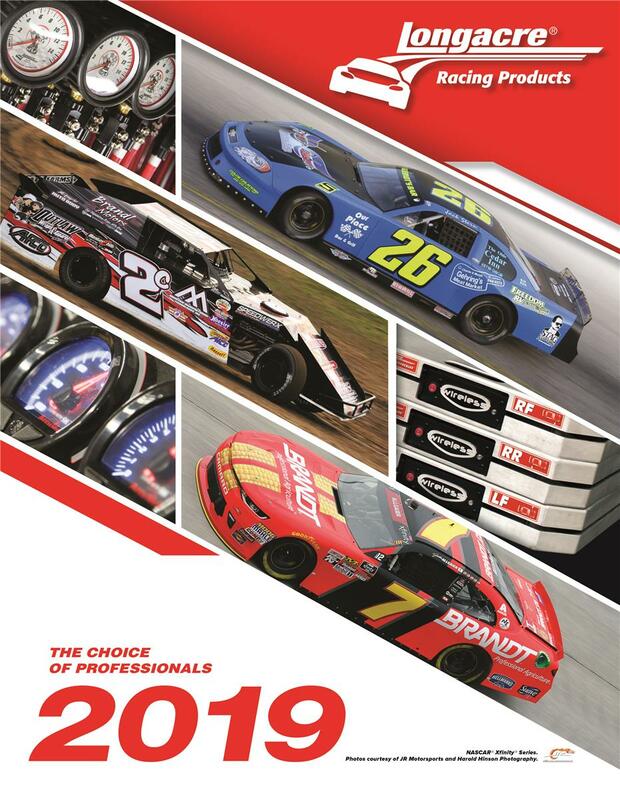 The book will allow you to select from your inventory when you are at the track saving valuable practice time. With both a reference number and the actual rate tag you will be able to locate your springs in a hurry. You should also record the free height of your springs and record the heights in your reference book. Changes in free height indicate a change in spring rate.